Set of 6 postcards depicting some of the heritage and history of the Caledonian Canal. In the 1930s work on the canals was labour intensive. 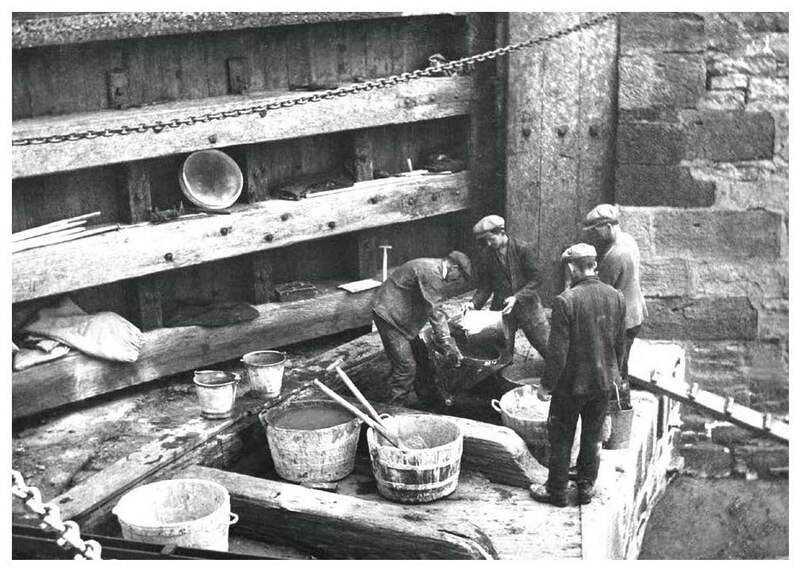 Here we see four men repairing the cill of the drained lock. You can see them pouring concrete through a funnel. 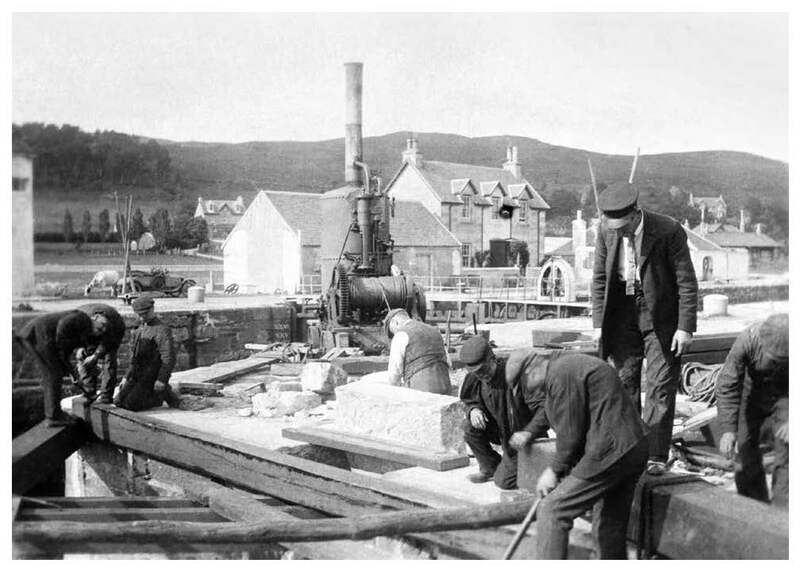 The lock gates were timber and manufactured in Inverness, and were opened and shut by chains attached to lockside capstans (note the chains in the picture). 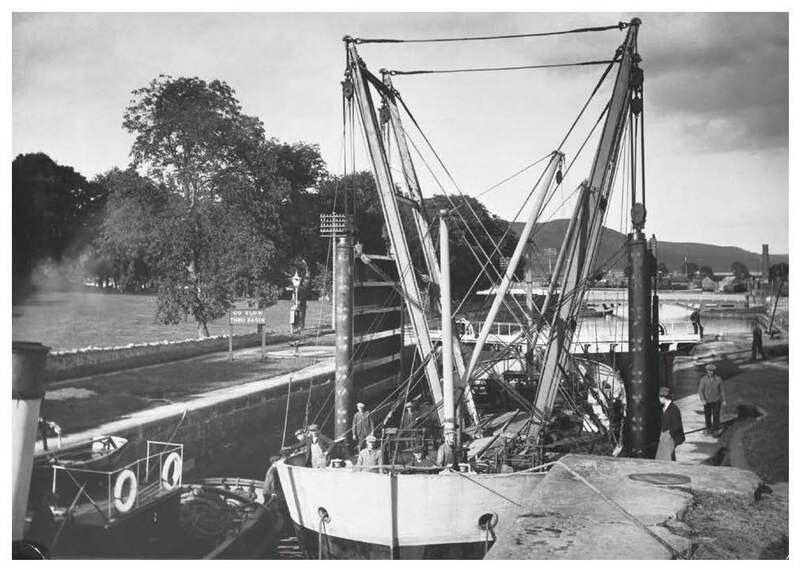 In this picture, repairs are being undertaken on the sea lock. The boiler with the chimney was a steam powered winch for lifting the heavy blocks of masonry used to repair the lock walls. A waist coated mason can be seen shaping one of the blocks ready for use. Note Corpach Sea Lock Lighthouse (1912) just seen to the left, and a cow and a car on the other side. 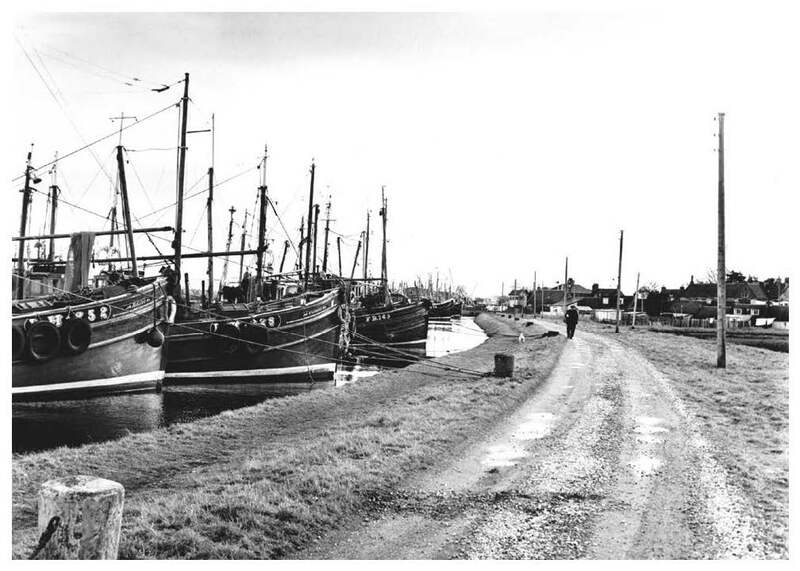 These fishing boats were named ‘herring drifters’ because of the drift nets they used to catch herring in the Moray Firth. GL3 was a converted light-ship and was used to transport and install lock gates. 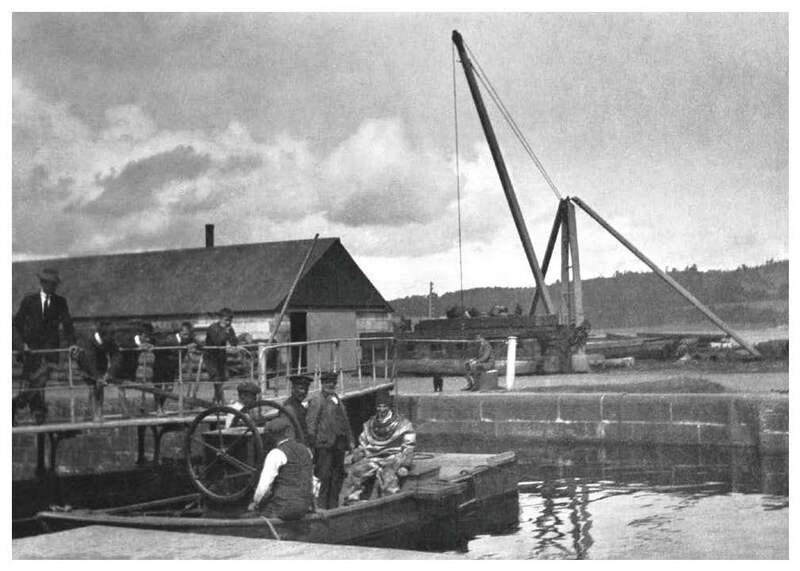 In this picture GL3 is carrying two lock gates and is being towed by the steam powered tug, Scott II. 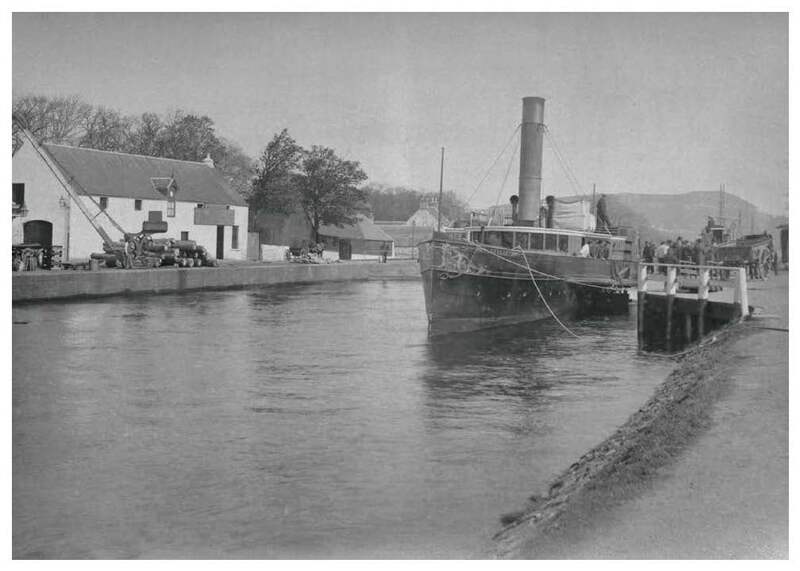 In the background, you can see the original Muirtown swing bridge at the bottom of the lock flight, with the chimneys of Glenalbyn Distillery alongside. The Glengarry was an early steamship that worked on the canals. Originally named Edinburgh Castle, she was built in 1844 by Smith and Rodger. She worked between Inverness and Fort Augustus, winning fame as the oldest steamer in the world, until she was scrapped in 1928. She was propelled by the same single-cylinder engine for her entire 84 years. Diving was an essential activity on the canals, with divers carrying out underwater inspections and repairs. In this photograph you can see a diver with his air hose mounted on a wheel. This type of suit was invented by the British engineer Augustus Siebe in the 1830s.